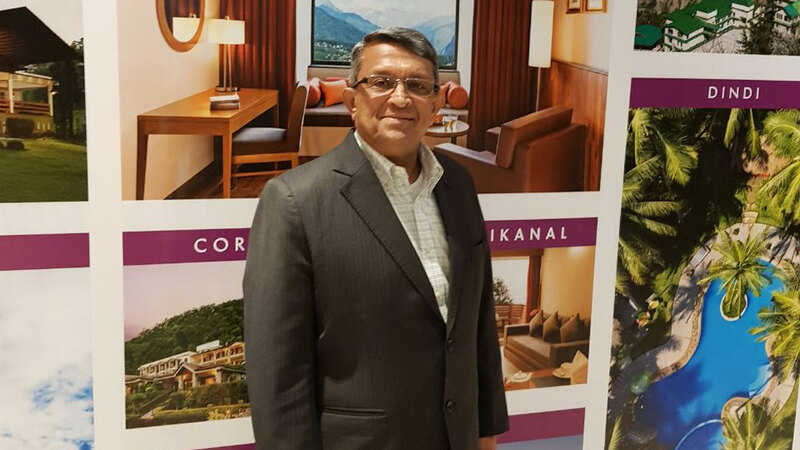 In conversation with Ramesh Ramanathan, MD, Sterling Holiday Resorts (India) Ltd, who shared his brand’s new venture and about franchising. Barring the three necessities of life – Food, Clothing and Housing (Roti , Kapda and Makkan) the fourth thing that matters to the Indians is Holidays . We are sailing into times where an Indian takes his annual /Bi-annual or weekend vacations very seriously. Today, vacation tends to be longer and people are not spending it at a relative's place. A middle class family typically goes on three to four holidays a year as per a survey. In this environment, the business of holidays has become a serious one. Accordingly travel & tourism business enterprises these days are leaving no stone unturned to hit the hammer on the nail. Established Players are transforming themselves to stay ahead of the curve. In conversation with Ritu Marya, Editor-in-Chief, Franchise India, Ramesh Ramanathan, MD, Sterling Holiday Resorts (India) Ltd. shared his business strategy for Brand makeover of Sterling Holiday Resorts, who are not just coming up with all new lavish resorts, but also have lost their rigidity on the time share business model to open for all. Sterling has undergone a rebranding exercise, what was the objective behind it? Sterling was incorporated in 1986 and is a well known brand. For the last few years we have been keeping a low profile in the market. The most important reason for rebranding is the transformation that Sterling has gone through because we believe in changing with time. Sterling has not only refurbished the earlier properties but, further has also brought in a lot new ones. We have been observing the market offerings from quiet some time now and have realized that the industry has undergone significant changes. This motivated us to go for re-branding under which we have changed our offerings and it was during the re-branding process of sterling that we’ve discovered a lot more about our brand. What changes have you observed that you are bringing to the fore? There’s a big change in terms of properties. Another change which we are imbibing is that everything has gone digital. Initially, customers used to approach us for registrations, but these days everything is just a click away. At sterling, we are incorporating training sessions for our staff to make them learn new techniques which can make things easier for them and the customers. Currently you’re having 30 properties across India, How do you shortlist the properties? What locations do you prefer to pick? For the initial phase there are some basic tactics to shortlist the location which are power supply, 24x7 water facility and the most important point which is accessibility of roads as connectivity plays the major role in this business. When it comes to selection of a property, I personally go for site visits, as this is something I can’t compromise with. Also, we prefer selecting holiday locations as people prefer holiday destinations only. After the selection of the property, who actually operates it?